This treatment increases the number of immune cells in the body which attack bacteria and viruses. It doesn’t only protect your body but directly destroys cancer cells, so it is incredibly effective in prevention of cancer. As the aging progresses, the number of immune cells decreases. If the immune cells decrease, various viruses or cancer cells can grow easily, and many people are losing their health in reality. The Line’s IMMUNE CELL cultures and increases immune cells in the body and they are injected into the body again to increase the number of immune cells. The immune cells, a sort of white blood cells, alone are injected, which is considered to be the simplest way to prevent diverse diseases. Also, since the immune cells in the patient’s blood alone are injected, side effects are almost non existent. 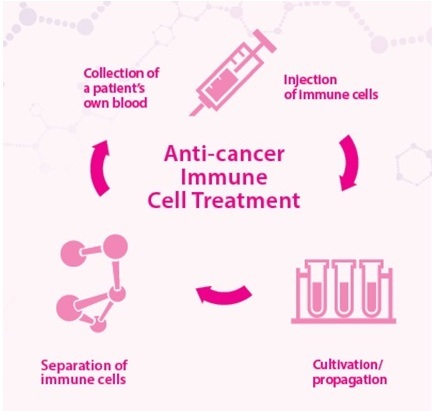 The Line’s IMMUNE CELL Therapy is in the process of diverse clinical research based on cultivation techniques of immune cells collected from peripheral blood. We promise you to do our best for human health and happiness based on the world’s best technical skills. 1. It is very effective when combined with other cancer treatments such as surgery, radiation, and anticancer treatments. 2. A weak immune system is to be normalized. 3. Immune function that can fight against cancers and other viruses is maximized. 4. The method is simple and convenient. 5. 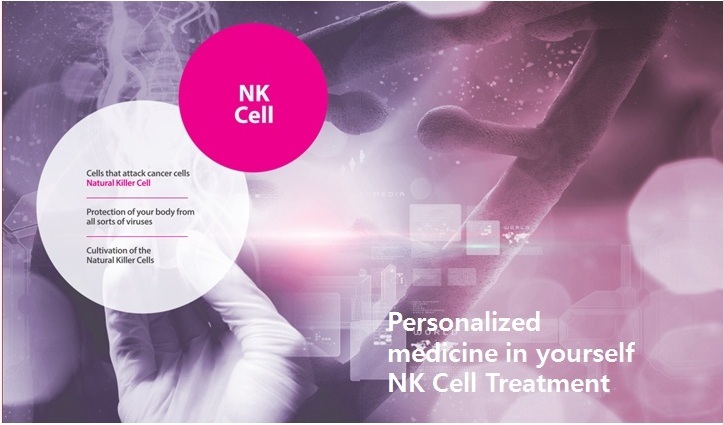 Autologous cells are used, so there are almost no side effects and the treatment is safely done.